The cast on the set of On the Rocks. On the Rocks was an American sitcom that was centered around the inmates of Alomesa Minimum Security prison. The show was broadcast on ABC from September 11, 1975 to May 17, 1976, and was a remake of the popular British sitcom Porridge. The show takes place in the Alomesa Minimum Security prison, and focuses on the prisons various inmates, and the numerous antics that take place while they are there. 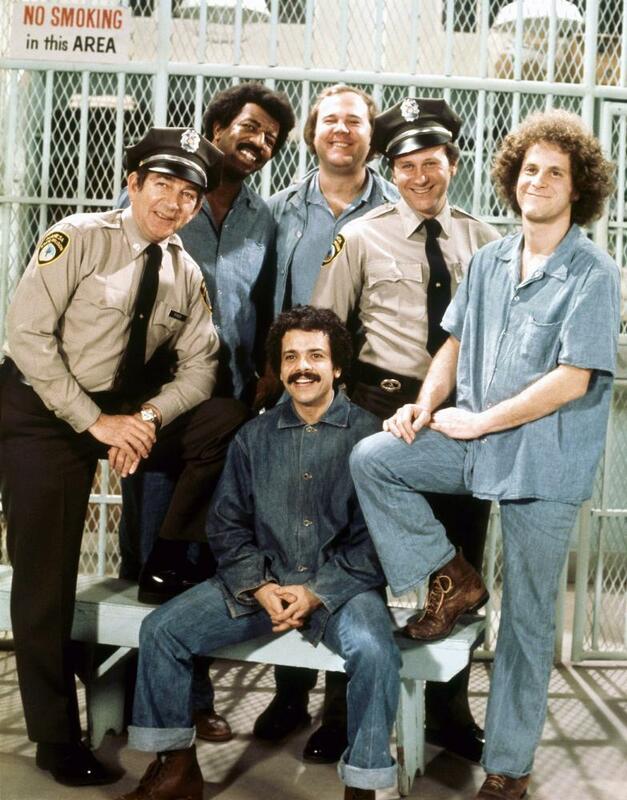 The shows main setting was usually the cell block containing prisoners Hector Fuentes, Lester DeMott, and Nicky Palik, with each of the three usually having some involvement in the plot of the episode. Despite 24 episodes being produced and aired over the course of the shows run, no full episodes have resurfaced online since its cancellation. All that has resurfaced are various promos that contain footage of the show, featuring clips from the episode "To Catch a Thief" and "Peace and Quiet" among others. A promo for the show. Footage of the show from ABC's 1975 Fall Preview (8:05-9:29).